The 2018 crush totaled 4,506,583 tons, up 6.2 percent from the 2017 crush of 4,241,945 tons. Red wine varieties accounted for the largest share of all grapes crushed, at 2,447,930 tons, up 8.8 percent from 2017. The 2018 white wine variety crush totaled 1,833,755 tons, up 3.8 percent from 2017. Tons crushed of raisin type varieties totaled 82,508, down 12.5 percent from 2017, and tons crushed of table type varieties totaled 142,391, up 8.0 percent from 2017. The 2018 average price of all varieties was $831.63, up 6.8 percent from 2017. 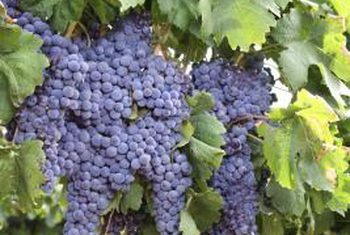 Average prices for the 2018 crop by type were as follows: red wine grapes, $1,019.03, up 5.5 percent from 2017; white wine grapes, $634.84, up 8.0 percent from 2017; raisin grapes, $299.48, up 18.4 percent; and table grapes, $192.01, up 7.6 percent. In 2018, Chardonnay continued to account for the largest percentage of the total crush volume with 15.8 percent. Cabernet Sauvignon accounted for the second leading percentage of crush with 15.1 percent. Thompson Seedless, the leading raisin grape variety crushed for 2018, was only 1.5 percent of the total crush. District 13, (Madera, Fresno, Alpine, Mono, Inyo Counties; and Kings and Tulare Counties north of Nevada Avenue (Avenue 192)), had the largest share of the State’s crush, at 1,370,068 tons. The average price per ton in District 13 was $318.38. Grapes produced in District 4 (Napa County) received the highest average price of $5,571.44 per ton, up 6.6 percent from 2017. District 3 (Sonoma and Marin counties) received the second highest return of $2,817.92, up 0.3 percent from 2017. The 2018 Chardonnay price of $970.76 was up 5.1 percent from 2017, and the Cabernet Sauvignon price of $1,683.25 was up 8.3 percent from 2017. The 2018 average price for Zinfandel was $600.21, up 1.5 percent from 2017, while the Pinot Noir average price was down 0.9 percent from 2017 at $1,674.62 per ton. The entire Grape Crush Report is available online in both PDF and spreadsheet format at www.nass.usda.gov/ca.